On Wednesday December 13th, David Seymour’s End of Life Choice Bill passed its first reading at Parliament. This vote is absolutely no indication of whether or not the bill will ultimately be made law. We know that many MP’s were influenced by the idea they should be ‘open’ to allowing New Zealanders to have a conversation about the Bill – and so now is the time to act once again. The Bill has gone to the Justice Select Committee where Submissions on the Bill have already opened. They close on 6th March 2018. 1. Make a submission to the Justice Select Committee opposing the Bill by 6th March 2018. Submissions do not have to be long. They will have to be about the current Bill (and not just a repeat of the previous submissions made in 2015 to the Health Select Committee). You can download an information sheet on how to make a submission here. Please also encourage others to make their own submissions opposing the Bill. 2. Contact your local MP’s and discuss your concerns about the Bill. You local MP’s need to be aware that there are many people who directly oppose the Bill and are worried about the repercussions if it becomes law. A list of the current Members of Parliament and their contact details can be found here. Download this Quick Facts sheet to keep yourself and those around you informed about what euthanasia is (and what it is not). 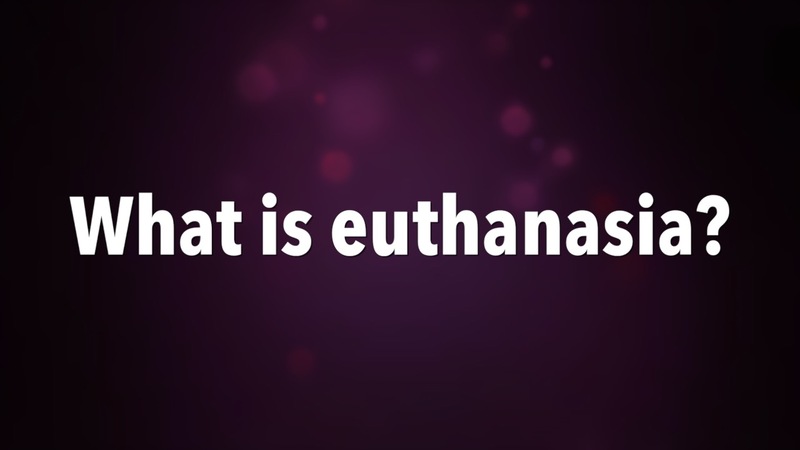 Euthanasia-Free NZ has also released a short video explaining euthanasia. For more information about euthanasia in New Zealand, visit the Nathaniel Centre’s website (the Catholic Centre for Bioethics in New Zealand).